The milk is separated into cream and skim-milk. With the cream being used for butter production. Our Cream is then pasteurised. The cream is ‘aged’ in a silo for a minimum of 8 hours to enhance the richness of the cream. The cream is then churned until butter, with salt added to give the butter that distinctive Rowan Glen flavour. All butter is then analysed and tasted to ensure we deliver the same great taste every time. Butter is packed into either foil, parchment or a tub. 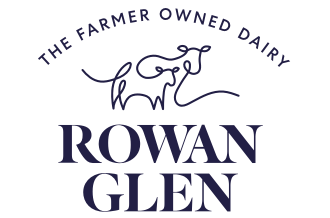 There are so many ways to enjoy Rowan Glen Butter, what is your #RealTaste?